Saint Rat – Silly Silk, a photo by Serena Mira Asta (Formerly Elizabeth Anne) on Flickr. 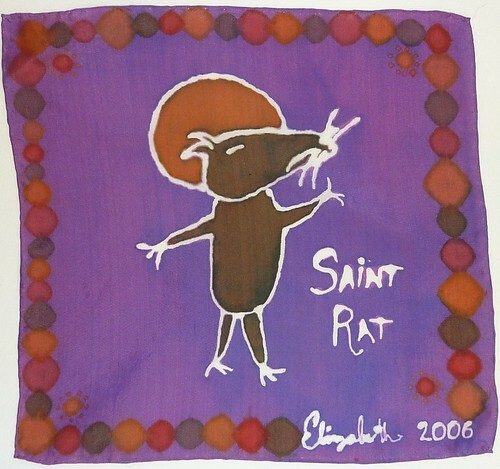 SOLD – Original Saint Rat batik on silk. First piece sold during the Fall 2011 Art Crawl! There’s just about a month left in this contest to raise money for shelters. It costs you nothing to vote and takes only a few seconds per day. Go to the Animal Rescue Site Challenge page and type in your favorite shelter. (click here FMI on this wonderful organization).